In its whole history, the Earth has witnessed five big and several smaller mass extinctions. The greatest extinction, however, took place at the end of the Permian period, some 252 million years ago, marking the end of the Paleozoic Era. It has been estimated that during this extinction, 80% to even more than 90% of all marine species died out, including such iconic fossil groups like trilobites and all reef-building corals. What was the cause of such a cataclysmic biotic crisis? There is a general agreement that the ultimate cause of this extinction was a massive volcanism in the area of the present-day Siberia (so-called Siberian Large Igneous Province). As evidenced from the sedimentary rock record in different parts of the world, the volcanism caused the large-scale atmospheric/oceanographic perturbations which led to several, not mutually exclusive proximate kill mechanisms such as warming, oxygen depletion, eutrophication, ocean acidification, toxic metal poisoning, or wholesale productivity decline. During such a cascade of events, life after the extinction needed much time to fully recover. One of the most characteristic signs of the end-Permian crisis is the absence of such ecologically important bioconstructions as reefs and other similar build-ups overwhelmingly formed by skeletal animals in the aftermath of the extinction. Instead, after the crisis, during the earliest Triassic times (the very beginning of the Mesozoic Era), such a bioconstructional role was dominantly played by microbes, which could have formed quite thick reef-like build-ups (so-called stromatolites) in both shallow and deeper seas across different parts of the post-extinction world. 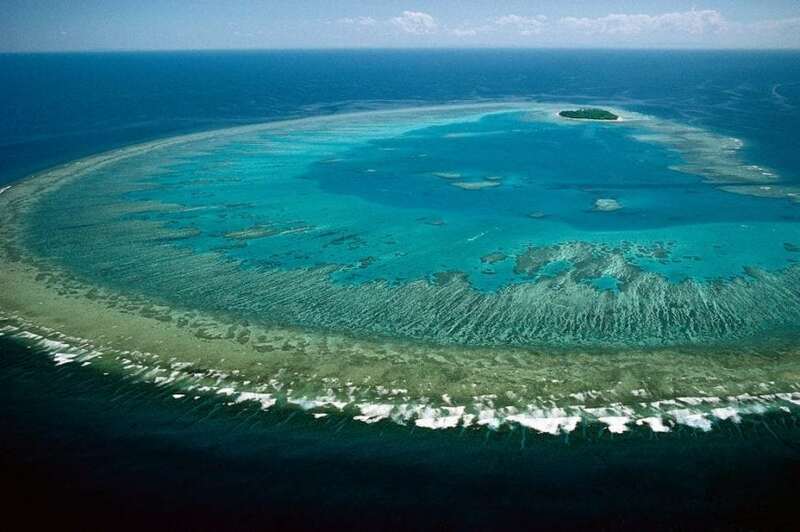 It is generally considered that proliferation of microbe-dominating stromatolites resulted from specific conditions in the seas that were maybe even harsh for other benthic animals. If any skeletons of animals are detected in the post-extinction, early Triassic reef-like structures, these occur to be numerically subordinate component thriving within the stromatolite structures. The first organic build-ups in which animal skeletons played a significant role, appeared about 1 million years after the extinction in the area of the present –day Nevada, USA. There, the small ‘reefs’ were built by sponges and cementing bivalves. A recent study (1) shows that, in fact, the true animal-forming (or metazoan) bioconstructions could have formed much earlier, even after about 300 thousand years after the Permian-Triassic boundary. These newly described bioconstructions were exclusively formed by an extinct group of small tubeworms called microconchids (“tiny shells”). Microconchids, which disappeared in the Jurassic Period, were known as “reef” builders in other periods in the Earth’s history; however, when they are found forming such bioconstructions just after the end-Permian mass extinction and well-before the other skeletal animals, like sponges and bivalves, is the first time they were able to do that. Interestingly, these small-sized microconchid bioconstructions formed in a shallow sea in what is now East Greenland. Does it mean that such skeletal bioconstructions were able to form very quickly after the greatest of the mass extinctions only in higher latitudes? Or maybe microconchids coped much better in harsh environments than other animals and thus could have formed such structures much earlier? To fully answer these questions, more research in other areas must be conducted. These findings are described in the article entitled Earliest Triassic metazoan bioconstructions from East Greenland reveal a pioneering benthic community in the immediate aftermath of the end-Permian mass extinction, recently published in the journal Global and Planetary Change. This work was conducted by Michal Zaton and Michal Rakocinski from the Faculty of Earth Sciences, University of Silesia in Katowice, Poland, and Grzegorz Niedzwiedzki, Henning Blom, and Benjamin P. Kear from Department of Organismal Biology and Museum of Evolution, Uppsala University, Sweden. Previous Post« Previous Public Lands Exchanges: For Whom And For What?